Brief Synopsis – A down on his luck ambulance chasing lawyer gets a new case and must struggle with his conscience as he must choose whether to do whats best for his client or for himself. My Take on it – Sometimes as film lovers and critics, we can watch a film and not get it on the first few times watching, but on subsequent viewings, our opinion can be vastly changed. That’s what happened to me with this film. I’ve seen it a few times but never really understood how deep this story really is and thanks to my friend Michael Eddy, I decided to give this film another try. Boy, am I extremely happy I did so. This film is an excellent courtroom drama that works on so many levels. The story itself seems somewhat generic nowadays with the abundance of courtroom TV and Movie dramas, but there is so much more here when you scratch the surface a bit. Paul Newman is amazing in the lead role and I can now understand how some very high paid actors wanted this meaty role for peanuts or even for nothing. Newman is able to take a seemingly generic storyline and raise the level of entertainment just by the way that he acts and reacts to everything going on around him. My favorite scene that shows that is the Kodak picture scene because it says so much by having now verbal dialogue at all. This films plot isn’t flashy like many of the films in the genre are but that seems to have been done on purpose since it allows the viewer to see parallels between the way the story unfolds and how Newman’s character develops and evolves over the course of the film. This film also has so much going on in the background that if you aren’t paying full attention to it, you might miss key elements that help make the story work so well. All in all, I’m glad that Mike challenged me to rewatch this film because there really is so much to glean from it. Bottom Line – Excellent courtroom drama that helps highlight how great an actor Newman was. His performance here is truly amazing and he takes an engaging script and raises it even higher just by his actions and reactions to everything that happens. The courtroom drama isn’t as flashy as many TV shows or even other films of the genre, but that helps form a parallel between the character and the type of life he leads. So much happens in this story that takes place in the background and if you aren’t paying close attention, you may miss some key elements to why the film works so well. So glad I rewatched this and got a newfound appreciation for a film like this. Highly Recommended! Now we’re talkin’ Rob!! Third time’s the charm? Glad I harangued you into taking another look. I love this movie and have always been jealous of Mamet’s brilliant writing on it.Interesting that you mentioned the number of actors pining for the lead role – because it was offered first to Robert Redford – who was always more comfortable playing the golden boy roles. Untarnished and pure as the driven snow. He did NOT want to play a drunk. So he called the producers and told them “give it to Newman”. This kind of part was his meat and potatoes. I also laughed when you made a comment on so much going on “in the background” that you could miss a lot if not paying attention. Go back 1 more time and check out the courtroom scenes. 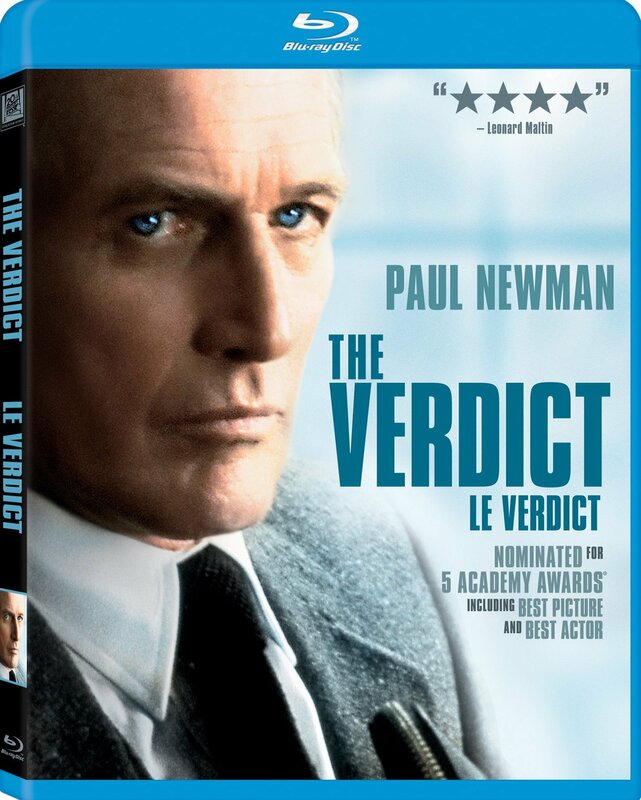 Anything with Newman and especially his beautiful summation to the jury. Check the sparse crowd in the background – and look for one spectator keenly observing the proceedings – wearing glasses – none other than a very young Bruce Willis – who went on to co-star with Newman in “Nobody’s Fool” – one of HIS best roles and another terrific one for Newman.